Most relationship problems are essentially trust issues, explains psychotherapist David Richo. Whether it's fear of commitment, insecurity, jealousy, or a tendency to be controlling, the real obstacle is a fundamental lack of trust - both in ourselves and in our partner. 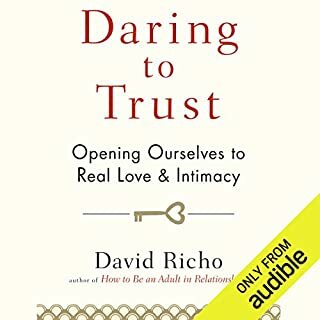 Daring to Trust offers key insights and practical exercises for exploring and addressing our trust issues in relationships. 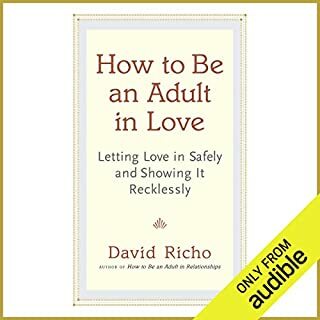 In this audiobook, Richo offers a fresh perspective on love and relationships - one that focuses not on finding an ideal mate, but on becoming a more loving and realistic person. 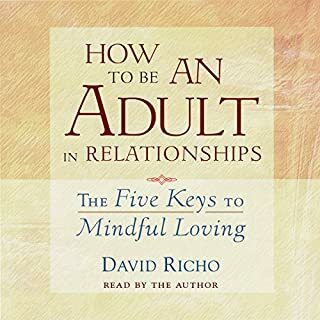 Drawing on the Buddhist concept of mindfulness, How to Be an Adult in Relationships explores five hallmarks of mindful loving and how they play a key role in our relationships throughout life: Attention to the present moment; observing, listening, and noticing all the feelings at play in our relationships. 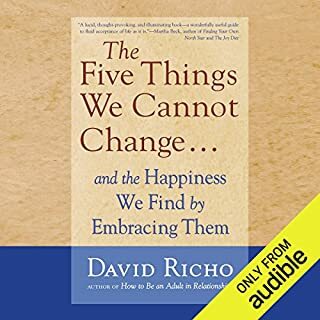 In this provocative and inspiring audiobook, David Richo distills 30 years of experience as a therapist to explain the underlying roots of unhappiness - and the surprising secret to finding freedom and fulfillment. There are certain facts of life that we cannot change - the unavoidable "givens" of human existence: (1) everything changes and ends, (2) things do not always go according to plan, (3) life is not always fair, (4) pain is a part of life, and (5) people are not loving and loyal all the time. If you've ever had a vague sense that something's missing from your life, congratulations. That longing for something better is a sign of being fully human, fully alive. 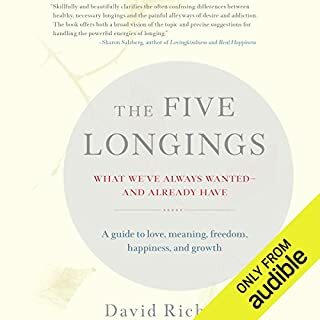 But what's even more wonderful, according to Dave Richo, is that when you identify and carefully examine the things you long for - like love, meaning, freedom, happiness, and growth - not only do you discover deep truths about yourself but you also find that the things you long for were never really missing at all. You and your ego: how to develop a healthy sense of self without becoming an egotist - and how to see through that sense of self for the happiness of yourself and others. How can you build the healthy ego necessary to be effective in life - yet avoid the kind of egotism that makes people dislike you? Don't worry; Dave Richo has the answers. 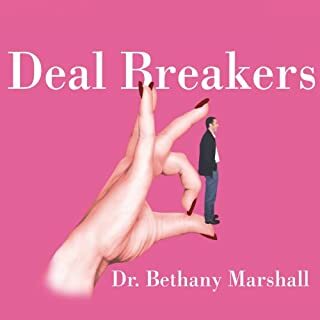 His new book shows you how to navigate the tricky waters between egotism and selflessness in a way that avoids both extremes and makes you much more effective and loving. Perhaps you've had one of those moments when everything, quite unexpectedly, simply falls into place; or, when you've been puzzling over an impossible question and - pow! - the answer suddenly arises, seemingly out of nowhere. These and other such experiences are not caused by our efforts. They are moments of grace, the gift dimension of life. Grace is generally associated with religion, but, as Dave Richo shows, you don't need to be religious to notice - and benefit from - this help from outside yourself that's being offered to you in every moment. Our "shadow" side comes to the surface in relationships more than anywhere else. The good news is that when we recognize and understand that we can work with our tendency to project our shadow onto those with whom we're in relationship, we can release ourselves from the habit to hurt or control one another, and we can tame our retaliatory impulses. Dr. M. Scott Peck has inspired millions by combining the deepest insights of psychiatry with those of religion. In this second of a three volume audio series based on his best-selling book People of the Lie, Dr. Peck once again integrates religious teaching with the science of psychology as he offers hope for healing one of society's most persistent failings: human evil. Intimacy is one of the great powers and joys of life, yet all too often it gets clouded by miscommunication, a loss of affection, and a lack of mutual support. Here, therapist David Richo shows us how to use mindfulness to better understand ourselves and our partners so that we can increase our capacity to give and receive love by recognizing how our past relationships affect our current life; improve physical and emotional intimacy by embracing the five hallmarks of loving relationships; resolve conflicts by constructively working with anger, grief, and blame; and more. Synchronicity - coincidence and surprising connection - occurs all the time in our daily lives, yet we often fail to appreciate how it can guide us, warn us, and confirm us on our life's path. This workshop, led by David Richo and based on his book, The Power of Coincidence, explores how synchronicity operates in our daily lives, in our intimate relationships, and in our spiritual paths. In this two-part program, Richo offers stories and examples that enrich and expand on the information and observations he shares in The Power of Coincidence. 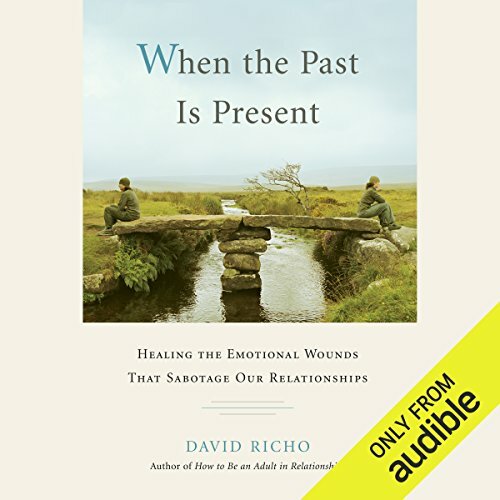 ©2008 David Richo (P)2014 Audible Inc. This one could have been 1/3 the length and more impactful. Explaining something 12 times in the exact same way. Entire chapters with only a paragraph's worth of real information. The only reason it got 2 stars instead of 1 is I think the concepts have a lot of merit. I found this audible book to be a struggle. I do believe in transference and the role it plays in our lives, some more than others. However, the book jumps all over with a bunch of random Emily Dickinson quotes and out-of-place words and phrases thrown in. I also feel the connections of transference are greatly exaggerated and, in some cases, just plain weird. The narration felt like a pushed whisper the whole time and made the content worse. I do hope others enjoy the book and narration, and find it useful... but for me, I was quite disappointed. This book is very informative I'm sure but I have a masters degree & it's soooooo hard to follow. I'm not an english or language scholar. It would have been nice if a more simplistic wording was used so that I don't have to focus so hard to understand. I'm not sure i can finish listening to this audio book. Probably will try to find something more easily understood. This is a book about transference. If you haven't heard of that term before (I hadn't), it's like a lens we are seeing other people through - colored by our past unresolved experiences. Sort of like projection, but while projection is putting the unwanted aspects of ourselves onto the other person ("they must be jealous!" when we are actually the jealous one), transference is putting our past relationships onto the other person (seeing criticism when there is none, because our parent was critical of us). By becoming aware of when this is happening to us, we can enjoy the natural alchemical process of life without damaging our relationships . Consciousness of our transferences can allow us to have even more authentic interactions with those we love, seeing them for who they really are. I especially love how he includes many religious references, quotes, etc. in his book, from a variety of faiths. This is beautiful. Five stars for being both incredibly knowledgeable, and also well written. I read each chapter at least three times before moving to the next. I was not thrilled about the narrator because his voice sounded like a whisper on the increased speed setting. This book is excellent and gives a very detailed explanation of all the relational encounters I have ever had. Please add it to your list if you truly want clarity! The author described in detail how our actions and thoughts are not haphazard but products of our upbringing and heritage. Parts of the book touched me deeply and I plan to read again and do the practice exercises. I did not like the spiritual part of the book. Too many things have happened in my life for me to be able to accept an all loving God and in my opinion all religions are lacking in what is preached- it’s a story fueled by money . Maybe when I re-read I will better understand that part of the book. One last comment- I liked the narrator. It would have been extremely helpful to have the practice activity per chapter to view or a cheat sheet guide for further development. Would you consider the audio edition of When the Past Is Present to be better than the print version? Absolutely not. Too many points can be easily missed in audio format. They couldn't have chosen a worse narrator. Arguably one of the most important books you will ever read especially if you are not familiar with the notion of transference. You might need a second reading of the first chapters though. One of the best books around that explains the unconscious processes that affect our relationships.